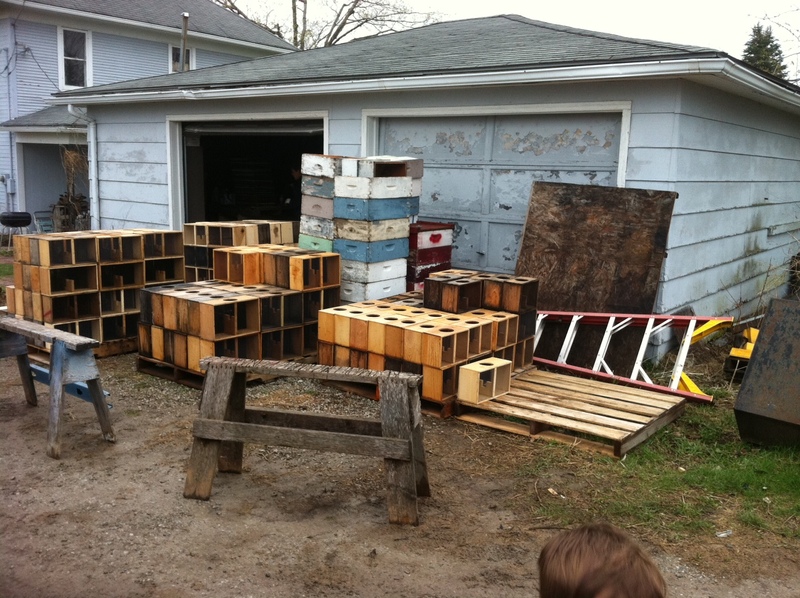 Last week, during Screen-Free Week, we went to Des Moines to pick up our two new hives of bees. We struggled up the muddy driveway, the rain pouring in sheets on the windshield. We had arrived at Ebert’s farm. Almost immediately, we had identified the other eccentric clients, waiting for hives themselves, as witches. They may not have called themselves that, but they obviously served as the “hedge riders” in their respective communities. You can’t see it, but this man is covered in bees and having a calm conversation. 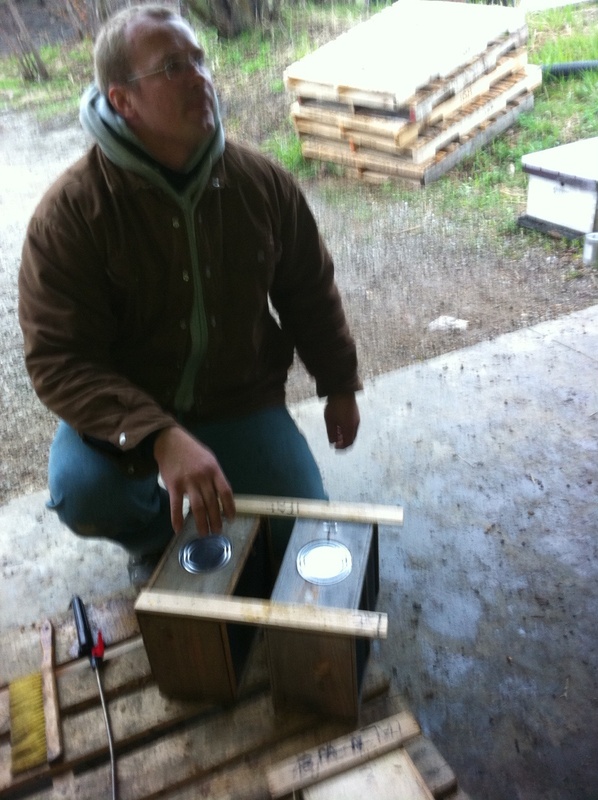 Getting the bees settled in their hives was touch-and-go for a while. A few hours after we had installed the bees, Melanie saw a ball of bees on the ground, about four feet away from the hives. 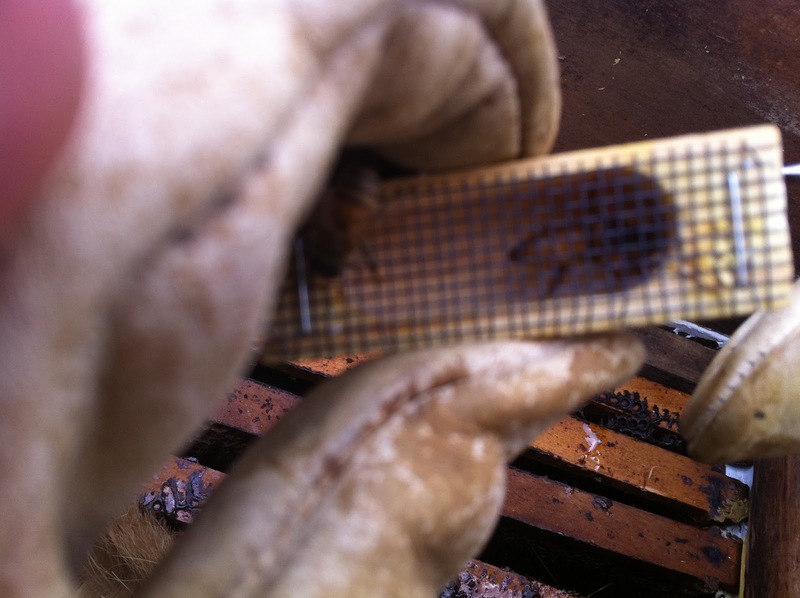 Upon further inspection, she discovered a queen in the middle of it. But, which hive was she from?! 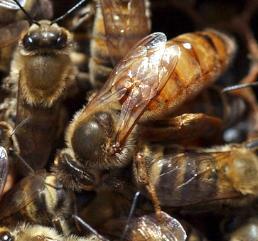 We reopened both hives, and Hive 1 was queen-right. We knew, because the queen was still in her tiny mesh box. 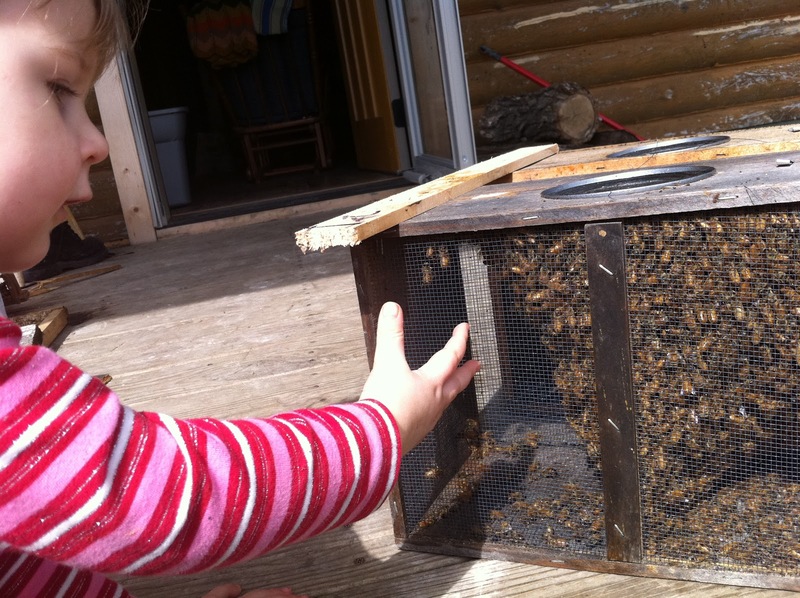 We improvised a new queen container (we couldn’t get her in the old one) from a small glass jar, and some mini-marshmallows, and put her and two attendants back in Hive 2. (The one the queen had been “dropped” in in the video.) Fingers crossed. Sitte ge, sigewif, sigað to eorþan! Næfre ge wilde to wuda fleogan. swa bið manna gehwilc metes and eþeles. Alight, victorious women, descend to earth! As every man is of food and home. This is so cool. Not sure I could do this! I'm a Pagan former homeschooling mom expecting her 7th baby, so, I'm really excited to have found your blog. Am now following and looking forward to getting to know your family! Welcome! And congratulations on joining the “sevens” club!